These major topics addressed by Mirova’s research focus mainly on analysing investment themes with regard to the risks and opportunities identified in the area of sustainable development. You can now read these studies, articles and analyses on this website and in the research paper "Mirova’s Insights – Sustainable investment research". /// Mirova’s research in motion! This wealth of expertise is our internal value added. We believe it must be shared outside the company so as to engage in dialogue with our clients and partners. Our goal? To share our convictions and challenge them in a constant process of improvement and innovation. - and relayed in real time on www.mirova.com and to Mirova’s partners. The research paper will gradually be enhanced with output from all Mirova’s teams. -gives an overview of key events of the last few months that sparked interest or laid the groundwork for a “sustainable” model of civilisation. 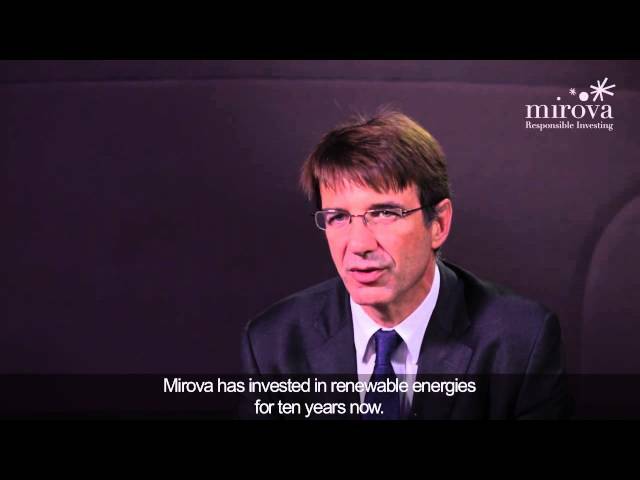 "Mirova’s Insights - Sustainable investment research"
while sparking interest in the vision that drives us. investment business. SRI is sometimes seen as a sort of ‘niche’. issues we are all facing while continuing to create value for our clients.